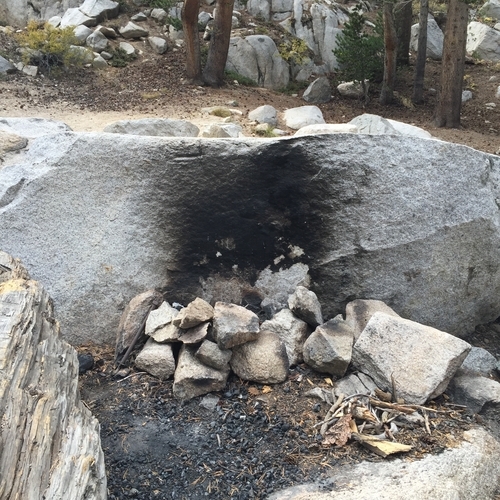 On a recent trip in the Sierra I was dismayed and saddened by some obvious campfire impact at our campsite. These pictures were taken in Big Pine Creek North Fork between First and Second lake. 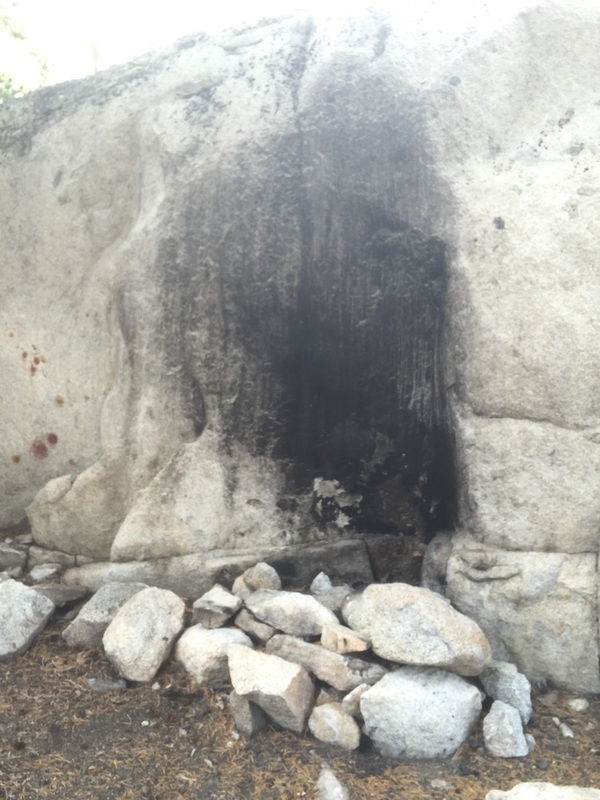 The rocks in the picture show signs of fire scars. 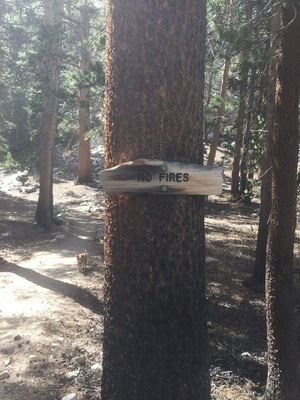 Whenever considering a campfire, or any use of fire including stoves, in the backcountry you should always check the current fire rules and regulations. "Know before you go!" Even if you are not planning on having a campfire, you may need a permit for any open flame. If you are not sure whether or not you need one, better to be safe than sorry. If you live in California you can get your campfire permit here. More great ideas on how to lesson your campfire impact can be found here. The more we know the more we can do to prevent more wildfires. Watch this video to learn more about wildfires.